These will help you quiet your mind. Picture this: You start drifting off as you’re reading a book, unable to keep your eyes open or focus on what you’re reading. Then, as soon as you put the book down, your brain goes into overdrive, bouncing between various to-do list reminders and disruptive thoughts. If this sounds familiar, the good news is that it doesn’t have to be that way: Deepak Chopra, M.D. has some smart tips for quieting our racing minds to help us fall asleep faster. Focusing on your breath is a good place to start when you’re trying to calm yourself down to get to sleep. 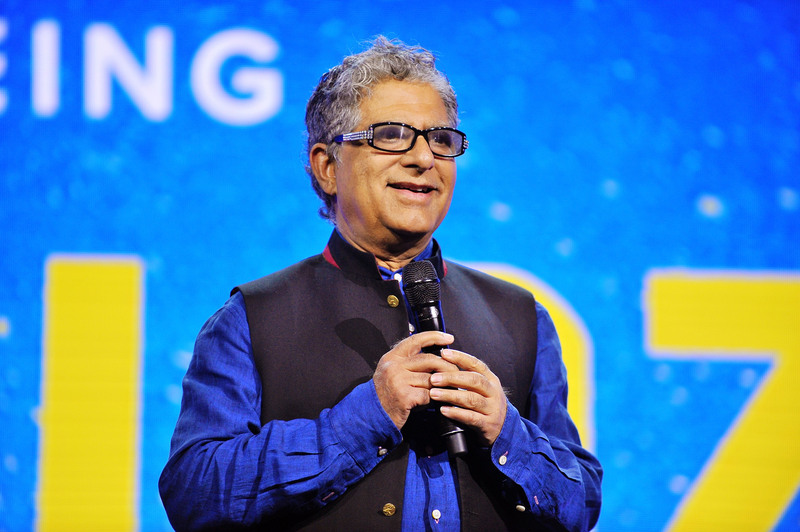 “In order to fall asleep, mindful breathing can be very helpful; all it means is that, as you’re laying down to go to sleep, you observe the breath,” Chopra told CNBC. To try it yourself, count to four as you breathe in, and then to six as you breathe out. According to Chopra, doing this slows your breathing from an average of 14 breaths per minute to around eight breaths per minute, allowing you to more readily relax. “Mindful breathing immediately restores self-regulation [and] calms the mind,” he added. Chopra also suggested using a mantra to help you fall asleep. Don’t already have one? That’s not a problem. He recommends the “So Hum” mantra, which is derived from Sanskrit, and frequently used in yoga and meditation. All you need to do is say “so” as you inhale, and “hum” as you exhale. “This is the vibration of breath and puts you to sleep very fast,” he explained. Since part of the point of these exercises is to help quiet our racing minds, it may seem counterintuitive to replay the events of your day in your head before you go to sleep. But Chopra promises that this can actually be calming. Just close your eyes and relive your day from the time you got up that morning, to the moment you got into bed — almost as if you were watching a movie of your day. Things People Should Try to Do After 9 P.M.